Hi, I am trying to track down a reference on FindAGrave to "Brinkhoff Funeral Home records". I'm helping a DAR applicant find the records to verify her information. Specially looking for Benjamin Franklin Timmons 1817-1895 and his wife Sarah. Findagrave has them buried at the Manson Cemetery in Clinton County but no gravestone picture. I assume the stones have been lost to time but somehow these records exist somewhere. 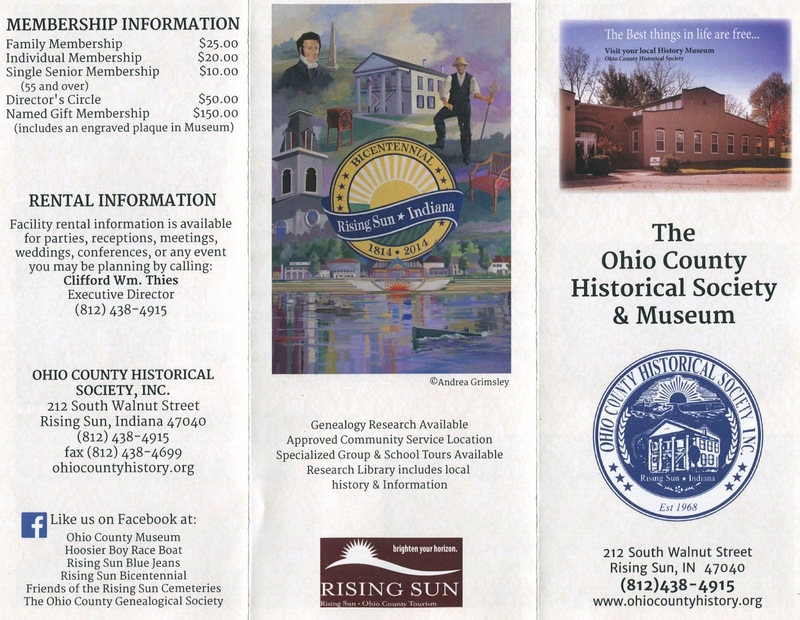 Can you find any record of Dr. William Linden Wilson (1860-1945) ever having lived in Kokomo or Howard County? He and his entire family were born and raised and some died and were buried in Hamilton County. However, my grandmother, Louva Otilla Wilson Baker (1888-1976), clearly remembered watching Elwood Haynes driving his 'horseless carriage' around Kokomo and how her teacher would let them go to the classroom window and watch. I only know that he went from Bakers Corner to Clarksville (Hamilton Co.) to Adams (Decatur Co.) and on to Scipio (Jennings Co.). Nothing to substantiate if and when they lived in Kokomo. Any info would be greatly appreciated. 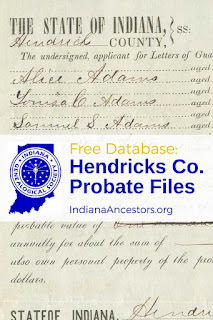 The Indiana Genealogical Society, in partnership with the Hendricks County Clerk, the Town of Danville Clerk-Treasurer, and the Allen County Public Library, is working to digitize the Hendricks County probate records from 1824-1900. 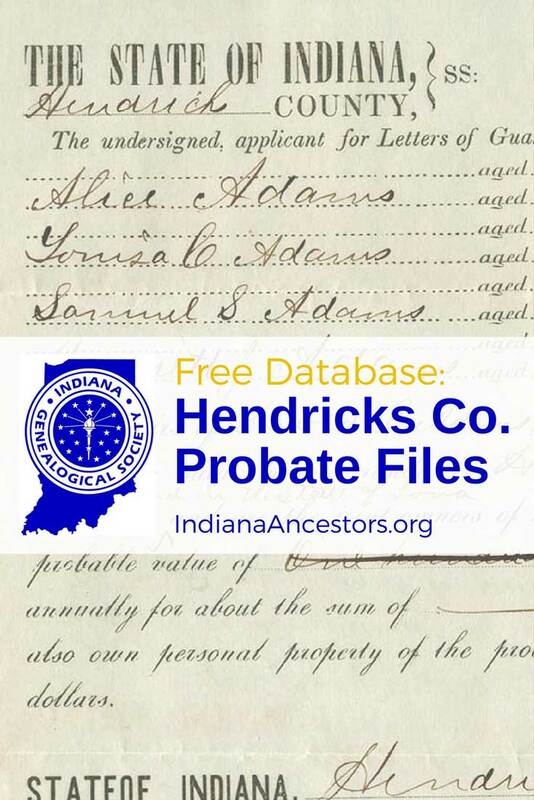 There are now more than 1,000 probate files that have been digitized and made available for free on the IGS website. Probate is more than just wills. It includes settlement of estates without a will, guardianships, adoptions, partition of land, etc. 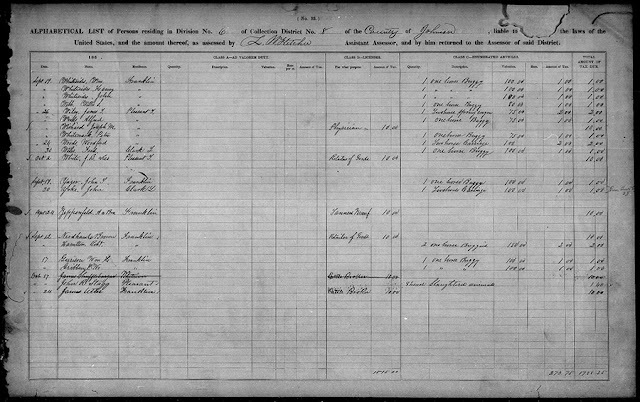 The images below is part of a guardianship record for Alice, Louisa, Samuel, and Harriet Adams, minor heirs of David B. Adams, deceased. Keep checking the database, as more files are continually being added. You should also see the other Hendricks County materials available on the IGS website. 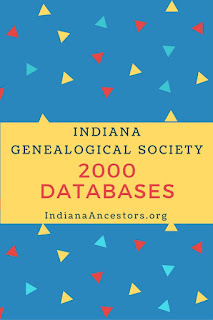 The Indiana Genealogical Society recently hit a milestone. 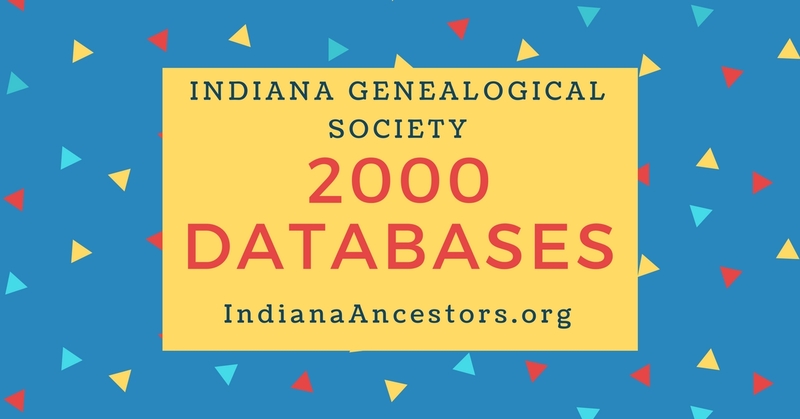 There are more than 2,000 databases on the IGS website! Each county has at least 8 database (most with many more), plus databases in the Military Records, Statewide Records, College Records, and IGS Records portions of the website. - Graduates of Bowling Green High School (1924-1965). Contributed by Randi Richardson. 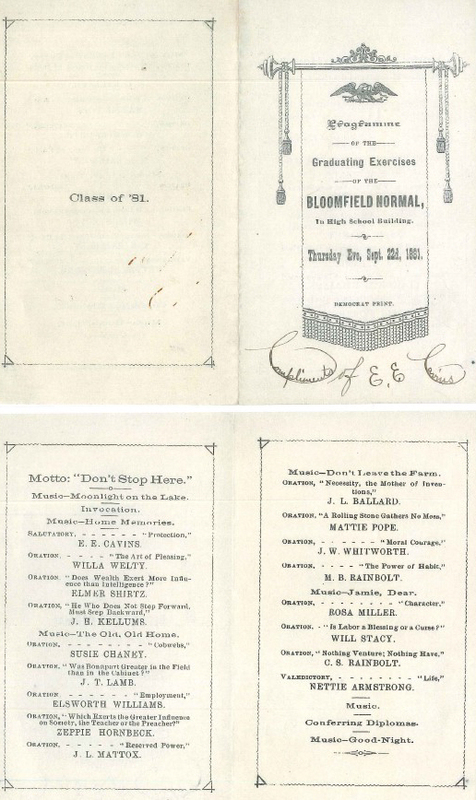 The following were all contributed by the Bloomfield-Eastern Greene County Public Library. - Bloomfield City Directory (1939). - New Castle City Directory (1894). 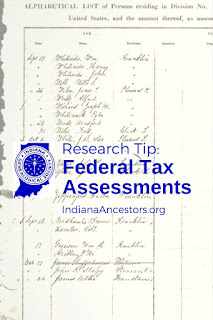 Contributed by East Central Indiana Genealogy Alliance. - Index to Photographs in Yearbooks of Stinesville School (1929-1939). Contributed by Randi Richardson. - Index to Plat Book for Johnson Township (1915). Contributed by Randi Richardson. - Merom Phone Directory (1918). Contributed by Sullivan County Public Library. The following databases are available to IGS members. Not a member? 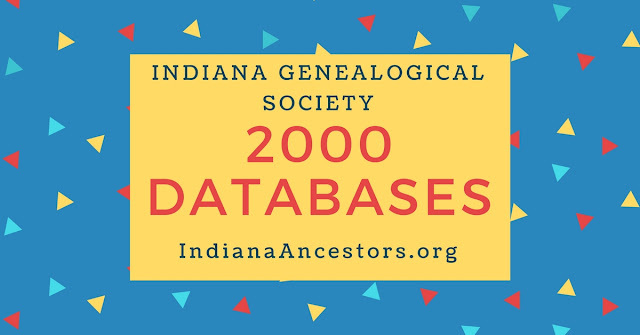 Join today for access to these and more than 2000 other databases! - Veterans of Spanish-American War. Contributed by Randi Richardson. 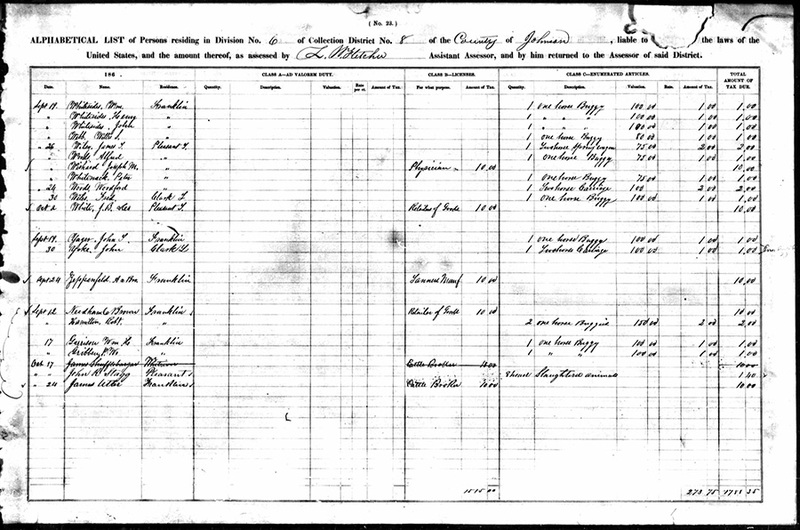 - Marriage Records of Quakers in Washington County (1816-1920). Contributed by Randi Richardson. 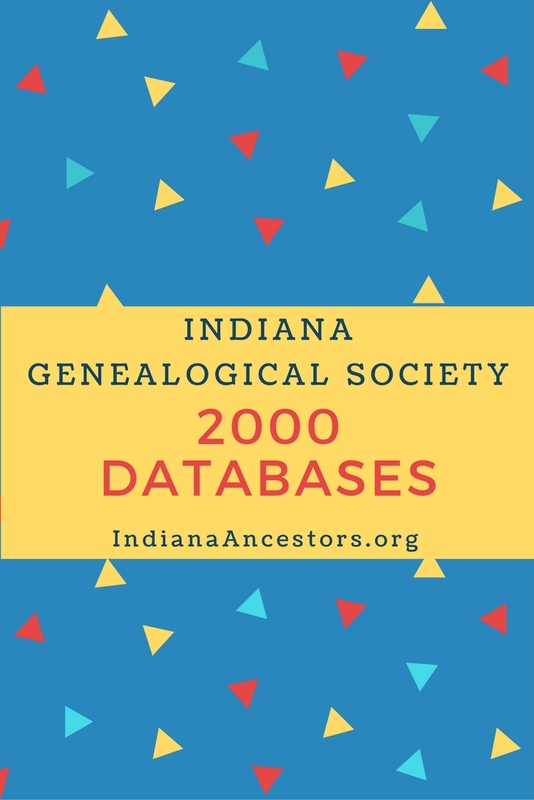 You can find a list of all of the databases on the IGS website by clicking here. Be sure to explore! By July 1862 the federal government already faced mounting debts from fighting the Civil War. As a result, Congress passed the Internal Revenue Act, which imposed federal taxes on an individual's income, as well as on the purchase of many products and service. Indiana tax lists from the 1800s were based on how much property someone owned, usually real estate, but sometimes also personal property (such as livestock) if it reached a certain minimum value. However, the federal taxes that were assessed during the Civil War focused on those who owned personal property such as a horse and wagon, or professionals such as doctors and lawyers who received a license from the state. 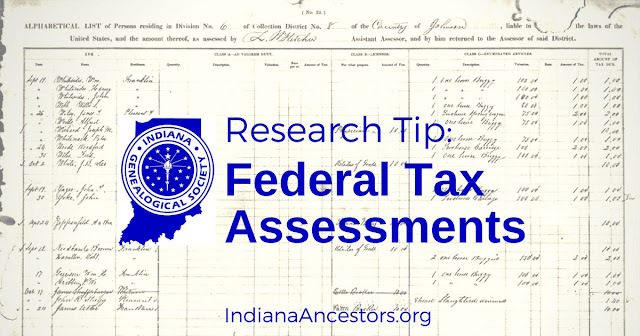 As such, these federal assessment lists from the 1860s can give you insight into a different group of ancestors than those that were included on Indiana's property tax lists from the same period. For the FamilySearch database, you must browse the digital images; they are not yet indexed there. The records are arranged by state and then by county. Ancestry.com's database does have a searchable index, but if you also want to browse the digital images, be aware that they are arranged by state and then Congressional District, not by county. We have a table (PDF format) of Indiana's 92 counties and what Congressional District they were in from 1821 through 1911. 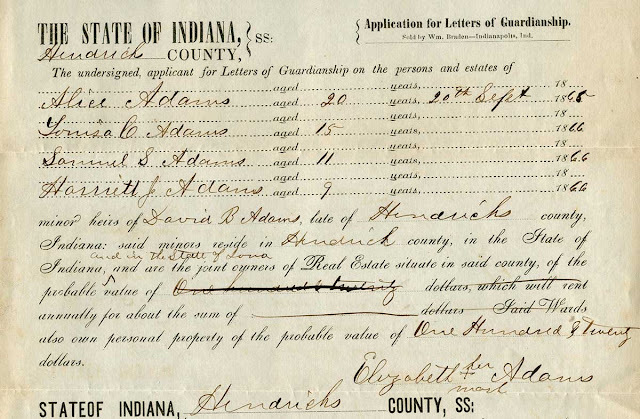 Johnson County, Indiana federal tax assessmet, 1862. 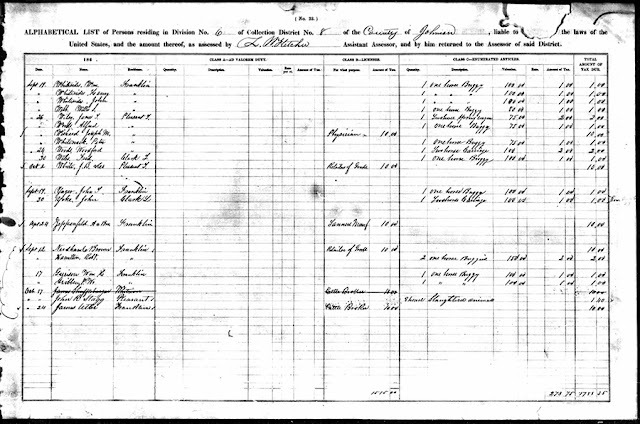 Image courtesy FamilySearch. Click here for full-size PDF (will open in new tab). 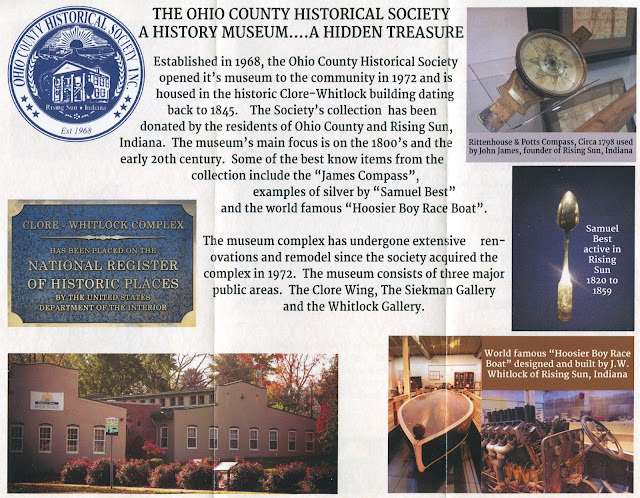 This article originally appeared in the Indiana Genealogical Society's free monthly email newsletter, Indiana News, which features news and information about Indiana genealogy. Click here to subscribe for free, so you can stay up-to-date and learn about Hoosier family history resources. What is really gratifying to us is all of the groups who send in data files above and beyond the minimums required. The Bloomfield-Eastern Greene County Library just sent in this file plus another and the Paoli Library also sent in an extra file the other day. Thanks much to both and to others from IGS. We're sure many researchers join us in saying, "Keep 'em coming, guys!"